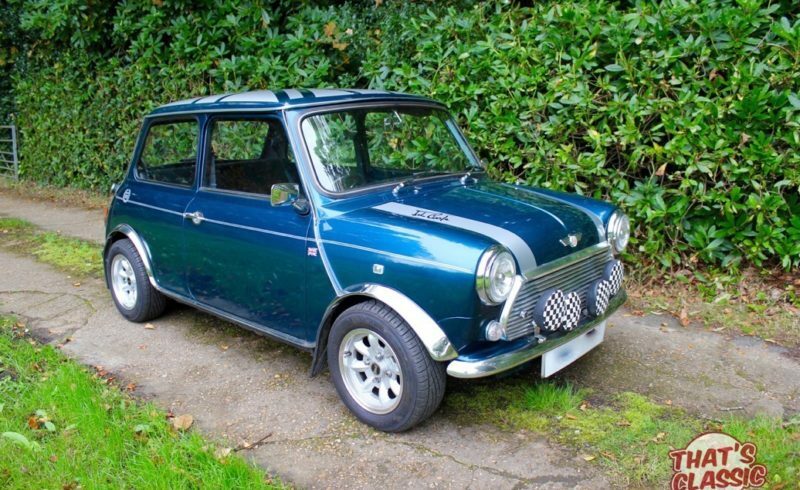 This lovely mini has well loved and always maintained to the highest standard. It has a large history folder including mot’s dating back to the early 00’s. It comes with the original owners manual’s and handbooks. It has been converted from a “Mini Rio” to replicate the awesome John Cooper special edition. It has been fitted with mini lite alloys which have brand new Yokohama tyres on them. The car has been upgraded with a performance exhaust and aftermarket air filter which gives the car a beautiful exhaust tone. It comes with the original hand book and 2 set’s of keys. It has the small but mighty 1275cc engine which gives excellent performance, great economy and is a joy to drive. It the feels very planted on the road with the after market alloys which improve the handling tremendously. Many mini’s suffer from rust, but not this one. It is solid as a rock underneath and does not require any welding. It has always been garaged and used mainly in the summer months which has kept the car in great shape. It will come with 12 Months Mot. A great modern day classic, in excellent condition, ready to be enjoyed!